Pentaxia has rapidly developed a strong reputation as a Tier 1 supplier into the luxury OEM market place for tooling solutions and composite component supply. We work with world renowned automotive customers, both large and small. 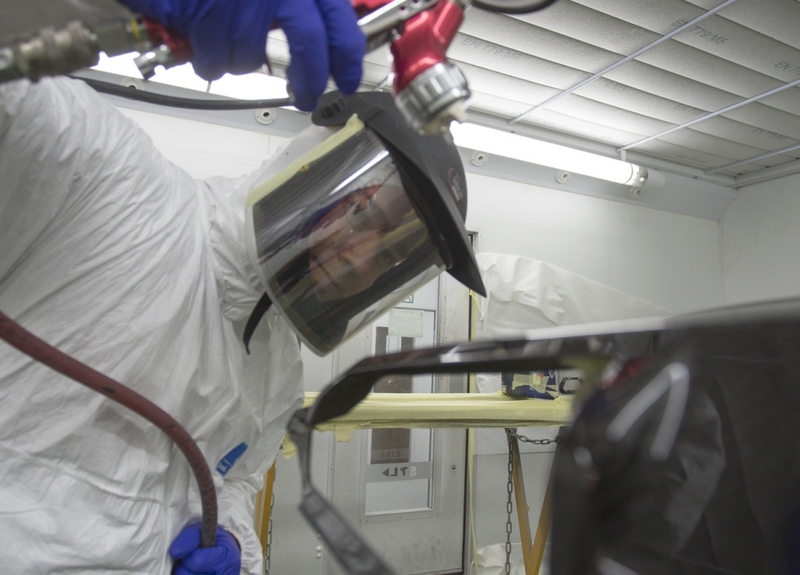 With our high specification in-house paint shop capability, we can also paint/lacquer “visual A+” quality components to demanding OEM standards. Curing – four autoclaves, out‐of‐autoclave tooling solutions, prepreg laminates,composite pressing. 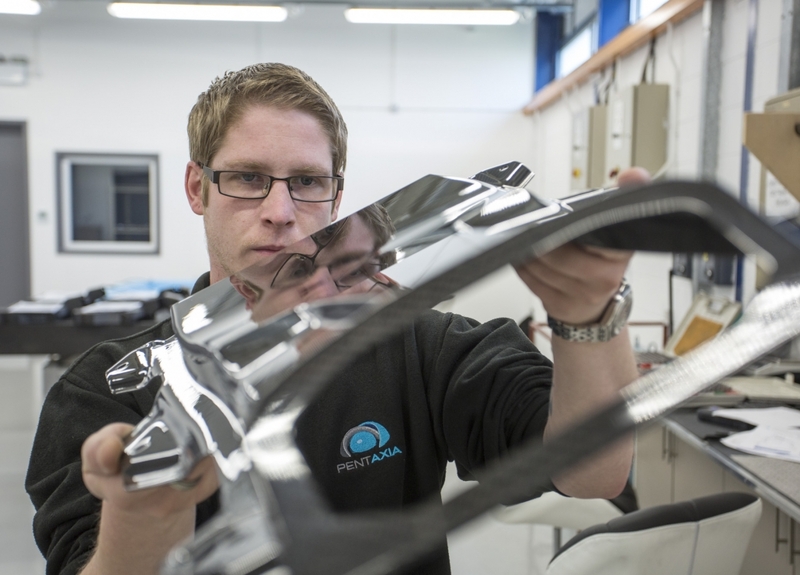 Having all required capabilities within our own facility makes us quite unique and we are widely utilised by OEMs for initial project feasibility, scoping and prototyping. This can also lead to full volume production delivery. 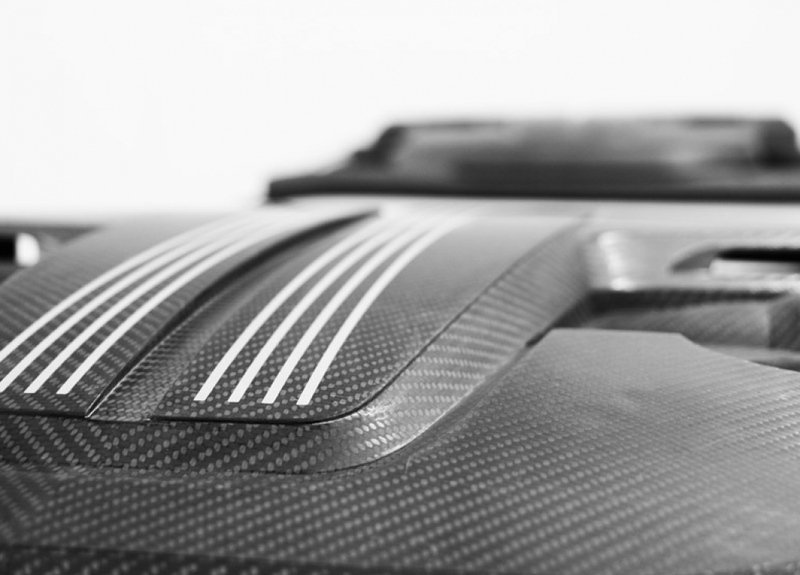 Pentaxia embarked upon our first “volume” supply to a luxury automotive OEM in 2014, developing a composite engine cover solution for use in a high temperature environment. We worked closely with our material supplier to develop a high temperature pre-impregnated material. The chosen lacquer system and technique also had to be developed to ensure no lacquer degradation, discolouration or cracking at temperatures over 200 degrees centigrade. 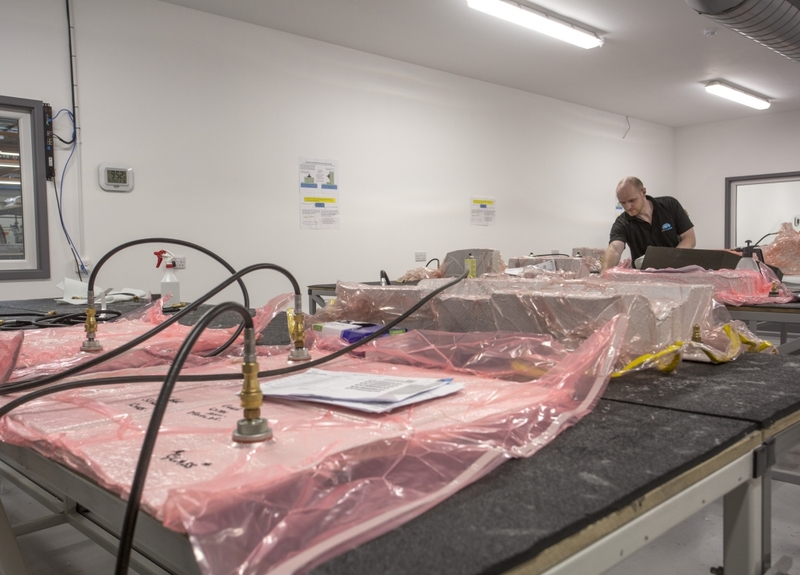 We have been actively involved in several European R&D development projects, utilising our management team’s wide-ranging expertise in composite manufacturing and automotive composites. At Pentaxia we have in place an implementation strategy for TS:16949 to be completed imminently.